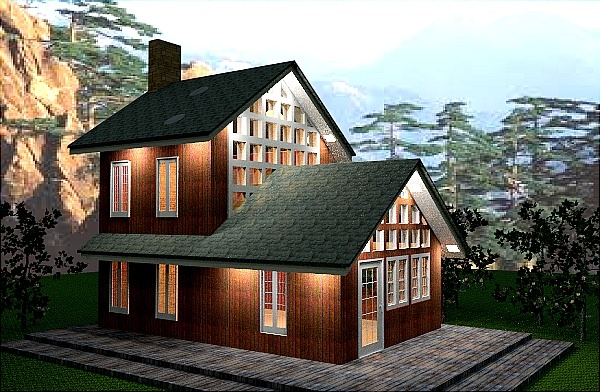 Cottage homes may be a vacation house plan or a beach house plan , fitting for a lake or in a mountain panoramic views as a setting. It is wrong to refer to them as bungalows as bungalow mean a single storey house with a compound of surrounding land. Modern Cottage houses a re generally more spacious in different settings, but there is a distinct style and charm that reflects the rural lifestyle. Cottage House ambiance takes you to the surrounding around the 18th century onward, when the rural area was influenced with the development of industry leading to the development of weavers’ cottages and miners’ cottages. It was a house concept is popular on 19th century. The word comes from England where it originally was a house that has a ground floor, with a first, lower storey of bedrooms which fit within the roof space. It used to mean a small old-fashioned house. In modern terms it is usually a modest, often cozy dwelling, type of a rural setting ed Kingdom the term cottage denotes house that are designed to resemble traditional . In Canada the cottage-style dwellings are the term generally exists with no reference to size at all. In Britain, traditionally, cottage houses were compact English farmhouses occupied by peasant agricultural workers which we now dream of a comfortable living homes. Cottage homes are often dreamed off as smaller sized homes with beautiful flower gardens and a quaint design with a feeling of a in peaceful rural surroundings, complete with cottage-style gardens bursting with colorful blooms. The Architectural facade is a normal cottage house with a simple porches and fence, portico designs with simple columns and spacious and roomy covered porches. Balconies with two-story house designs are some of the features of a cottage house. The facades also have large bay windows. Adding with it a Flower gardens bursting with colorful blooms are reminiscent of a cottage house that adds beauty and reminiscences of the old 18th century outlook. cottage house avoid rich colors, use plain white where necessary or rather best use the material in its most natural colors. The natural dilapidation of the old look brings honesty to the cottage and a rustic feeling to the cottage. It is also a cottage houses more compact size and their asymmetrical exterior features. 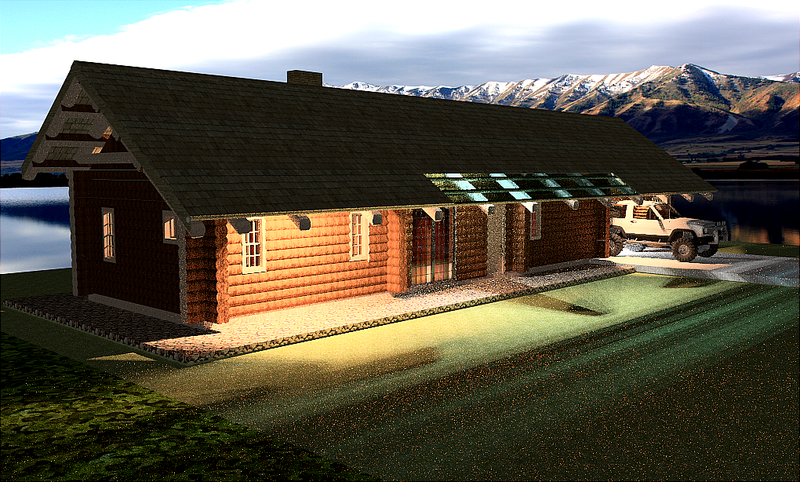 Stone brick and timber are the main material using on cottage house. This structure reflects the gentle and natural feel. Stone naturally creates the rustic and cozy and comfortable sense of oldness to the traditional times. A Cottage style homes may be tucked away into the woods, located near the water, or otherwise surrounded by nature. They can also be blended seamlessly into local residential neighborhoods. Cottages in the outbacks, out in the mountains , by a small stream or by the rustic beach side can be designed for off the grid Net Zero Energy buildings with cottage homes ambient without losing the charm, of cottage homes or cottage style house typical of Cottages.The cost of doing so is very minimal, call us for further details. Biomass Energy is derived from recycling the carbohydrates to liquids or gasses for energy. Some waste available in abundantly such as Industrial waste and Domestic waste.The waste produced in London is 8000 tons per day, New Delhi has a domestic waste about 9000 tomes, New York has 12,000 tons per day and KL: has 2000 tons per day. a) increased efficiency of diesel by 20% . it helps to reduce the diesel consumption by 20%. b) The reduction of emission of the dirty dozen gasses such as Co2, N02, HC2 etc by 80% compared to diesel. The amount of energy generated is a function of the type of Photo voltaic Panels, the tilt of the panels, the racking type of the PV System,the size of the panels, and the tracking of the sun’s by tilting the panels. This article advises on the types of Photo voltaic panel and related matter about its basis unit of construction and the calculation of the energy generated by panels. Photo voltaic Panels makes use of energy from the sun and the generated energy is called Renewable energy.Typically most of our energy that are generated by the burning fossil fuel. This energy is harmful to the environment. unlike Renewable energy. The use of renewable energy is good clean energy,no harmful by product are produced such as CO, NO 2, SO 2 and dioxin, Dioxin is a very poisonous gas that is detrimental to health. Dioxin is more poisonous that cyanide. Dioxin has a great affinity for animals and water.On in-taking of Dioxin, the Dioxin will remain in their bodies for a long time, as the chemical is a very stable compound. Renewable energy is good for the environment because there are clean energy and does not foul the air. The total amount of energy that the world consumes per year is only about 0.015 % of the energy that is available in the earth from the sun. 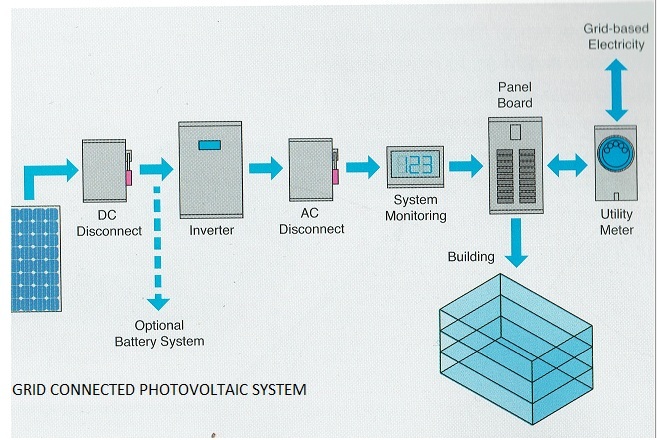 Photo Voltaic system are Grid-Connected where the surplus energy is sent to the grid . The surplus energy is purchased by utility company and on a winter week where there were less energy produced by the system, you may be able to access electricity from the Grid. a) Multijunction Concentrators, are more efficient because the wider spectrum of the light is used for generating energy. b) Hetrojunction Concentrators, are a hybrid of crystalline and thin film .It is more efficient as it reaps the benefits of crystalline and thin film technology. It is more efficient when the temperatures are high. c) Concentrating Photo voltaic, are concentrates the photo voltaic spectrum increasing the solar isolation and making the panels efficient. d) Photo voltaic Thermal, are panels that combines the thermal and photo voltaic energy of the sun to produce energy. It uses low heat and cost lower than crystalline panels.The thin film technology permit the panels to be flexible enough to be used on roofing material. glazing or wall panels. Thin films are more efficient with high temperatures. Panels should be tilted to face the sun, or facing south if you are located in the Northern Hemisphere and face north if you are in the Southern Hemisphere. Photo voltaic panels on Roofs tops,Car park Coverings and shading louvers reduces the cost of construction.The cost of Roof covering is reduced. The cost of shading devices reduce cost.The cost of roof cover on car parking covers are reduced. Covering of car parking structures help to reduce the heat island effect. Power generation will defend on the features such as :panels which track the sun,roof installation or open system and the type of the PV panels. 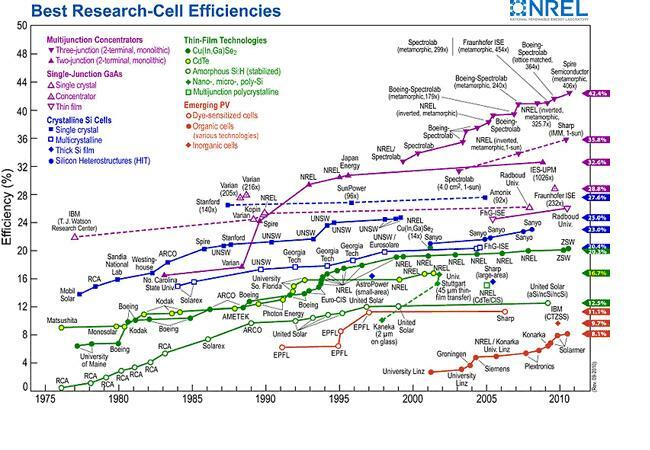 Following the steps if you are mathematically savvy, otherwise you could seek the help PVwatts supplied by NREL-check it at http://pvwatts.nrel.gov/. The PVwatts calculator assumes a Grid connected system, the Steps below assumes off Grid connection system. The PVwatts calculator will produce the comparative cost savings in the system( over the utility bills) and will consider the technology used (Thin film, Premium, Standard), Racking system used( Roof or Open Rack, axis tracking system,1 axis tracking system or 2 axis tracking system) and the Tilt of the panels. Step 1 – Calculate the daily energy consumed by the light fitting. Step 2 – Calculate the electric energy that the PV panels need to generate. Step 3 – Calculate the amount of solar radiation that the PV panels need to collect each day. The 30-year-average of monthly solar radiation on a horizontal, flat panel is 2900 watt-hours/square meter/day. And on a flat panel tilted to an angle of latitude plus 15 degrees (facing south), it is 5000 watt-hours/square meter/day, San Diego in December. The integration of the PV Panels with the building will have make reduce the optimum level of performance of the panels. The panels. Panels performance will depend on its tilt, orientation and the ability to rotate along the seasonal solar path . PV Panels can be integrated with roof covering( but need to be cautious as working space by the side of the roof and the top has to allowed for future maintenance).Roof top installation of Net Zero Energy achieve the highest categories of Net Zero Classification. The PV panels may replace the Car parking roof covering.This has it advantages such as easy maintenance and accessibility for maintenance. Facades and the louvers of openings can be constructed by PV panels. The North directions should be established for the site, as this will help the analysis of the solar path. This will help to study which of the side of the building is heated up and which part of the building need special insulation. The setting sun during summer is the part that needs treatment (insulation or louvers shading for window). It is necessary to avoid the suns heating sun to fall on the wall as the heat is thermally conducted into the building. Winter setting sun is desirable as the heat gain is necessary to keep the building warm. In fact this is the side where a Trombe wall is placed to keep the building warm during winter. The solar path is easily studied by using software’s such as sketch up and Revit’s Vasari and Rivet’s Ecotect or Design Studio. These soft-wares will help evaluate where sun is setting, but some of these soft wares evaluates the relatively hottest part of the building and even the amount of energy required for a specific model designed. And the solar path with these soft wares combined will help make design decisions. The direction of the wind s and the strength of the wind and the season of the winds will help you to understand for the following design considerations. Direction of winds can use in the cooling of corridors and courtyards and public spaces. Strength of the winds if is beyond 5m/s can be used to generate renewable energy for the clean energy in place of energy from fossil fuels. Obstruction to the use of winds sources have to be identified. Sources of renewable energy should be identified, such small streams, geothermal sources or wind energy and potentials for photo voltaic sources of energy. 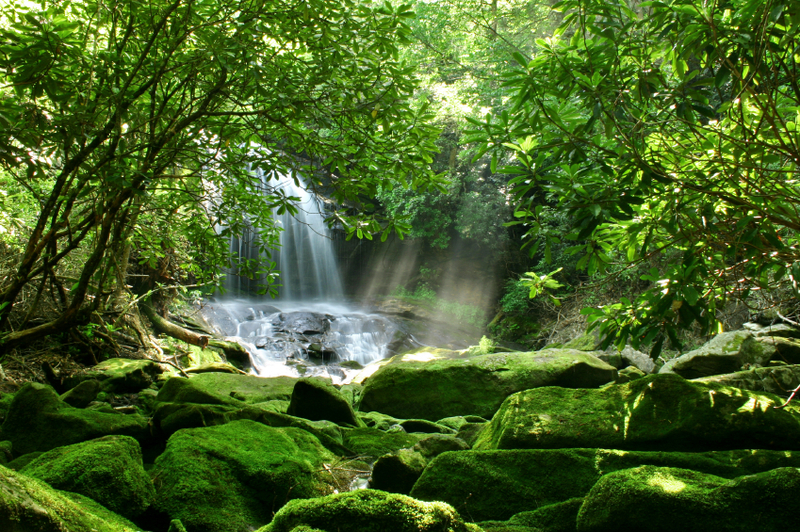 a) A small stream could generate hydro- electricity through out the day. b) Proximity to geo thermal ground can be used as a source for energy for building through out the day. c) The photo voltaic energy is limited to use only when the sun is visible, without clouds in the sky and not available at night. The topographical features of the site is necessary such as the contours, valleys, slopes, cliffs, the locations of streams, the main roads entrances façade views and other features that may be potentially an advantage to the site. Connections of utilities such as telephone connections points, water supply connections, sewerage connections points and power connections points. The location of good panoramic view and potential vista creations from the drive in and main entrances should be noted for designing purposes. The setting sun, rising suns in the morning views, or view of the beach, mountains or night views of the cities are the features you may want to look out for and if available they need to be identified. The harsh wind during the winter season should be diverted from the building using landscapes or wall, cold wintry winds can conduct the heat away from the building and this will cause the energy bill to escalate. If the site has poor air quality especially if the site is confronting a busy main road , that eco-green architect would consider ways for the poor air quality to be scrubbed clean so that air quality is maintained. the ecological parts of the site could be maintained for air to be processed. read on why green design can process the air by ionizing the air and removes the dust in the air and remove air pollutants such as the dirty dozens. The Guardian on the 5th Jan 2008 published the 50 people who can save the planet earth and justified why they could save the world. In this article I would like to review the flawed sensibility of that article published by The distinguished Guardian focused on the Green ecological strategies that could save the world as a watered down review of the serious matter. Six reasons reasons why this is so. Firstly the people listed were mostly those who championed the green ecological strategies to avoid the destruction of the world such as loss of trees,melting of the icebergs, Green ecological Architect, extinction of whales , tigers in the Eco system and the Eco city planned by English engineer. The basis of argument forged seems presumptuous and shallow. In fact a reputable newspaper should not have attempted a shallow major undertaking of such without responsibilities.As these articles has been often quoted as if they were truth. As of today the weather changes and the causes global warming caused by CO2 emission is still a not a establish fact, Scientists are divided on this matter and some has suggested the weather changes is another grandiose hoax.The reasons for deluge of calamities, inundating floods, disaster , diseases etc have never be connected to as a divine messages from divinity for the human discordance with divinity, was never considered or even trying to establish the reasons by scientific means of the reasons for the global issues. At least or perhaps was the Guardian should have attempted to establish the facts by convergence of scientist instead choose to select Hollywood ;s Leonardo Di Caprio sudden awareness of the ecological disaster . Thirdly the world cannot be saved by some burst of exuberance for Green ecological strategies of some unheard school child raising funds ( USD7,600) of the extinction of tigers in India or African Minister preaching the planting of some ten thousands of planting of trees or a Civil Engineer following a design brief , which in the first place which was not even his ideas but of the Chinese officials to building an Eco city in China and as if the prototype city , will take be an example for all the world.For now the success of the Eco city has yet to even been proven. Fourthly men such as the spurious Al Gore who made riches out of the global warming agenda, Leonardo Di Caprio who had a reputation for ecological destruction of a beach for the show The Beach, Green ecological architect Ken Yeang –”who has not arrived yet” of what he preaches or an Indian school boy who raised USD7.600 and men who preach savings carbon emission but live a hypocrite luxurious heavy carbon foot print -are be able to influence the world to bring the changes in the global weather changes . Do these men covered with deception and falsehood have sufficient clout to bring changes which may have no eventual effect. Fifthly the Green ecological strategies solutions seems is the only solutions to save the world from its impending dangers. Should not there be a multi faceted combinations of many strategies ranging collaboratively from the sciences, computer technologies, ecological,engineering, urban planning, architectural ,innovations and modern technologies that will bring s solutions to our problems. No one person or knowledge, skill or group will have sufficient clout to save the world, for instance the Indian had knowledge of the atom for thousands of years but thus singular body of knowledge was not sufficient to save the Indians from famines, hungers, floods and destruction they endured for many years. As such no one single knowledge is able to save humanity and no ecological strategies alone is able to save the destruction that is so imminent .It takes a combine effort and combined human effort- the Net Zero Energy architects, Net Zero Energy town and urban planers, the ecologist, the environmentalist, the engineer, the innovation, scientist,medical discoveries, the financial systems, the bankers, the builders, every groups of peoples to come together to be aware of the failures and ring the changes in a concerted effort. Finally the article indicates that that only 5 men from the US were qualified , as if this really mattered if it where these men were from, but it seems to matter most in this article matters it was a form of whipping the US.for such a pitiable performance.. The whole article seems like a prejudiced facade . Perhaps we can learn a lesson or two from the American Founding Fathers seeking in prayer. for divine help after weeks of not being able to solve the constitution , they sought to prayer and all have attested o the fact they had received divine help. The leaders of the world could do this, humbling enough to find access to the above and find a solution to our problems. After all is it not that the 1% of inspiration of the 99% perspiration that constitutes a genius.
. Max Farrand, The Records of the Federal Convention of 1787 (New Haven: Yale University Press, 1911), Vol. I, pp. 450-452, from James Madison’s Notes on the Convention for June 28, 1787. All over the world the we generate much domestic waste from New York City to New Delhi, a call for reduction of waste should be in calculated by Architects. Buildings are the sources of waste and it should be reduced, reuse and recycled otherwise we will find ourselves living among the waste. We can learn from nature how waste is processed. The spider eats up the waste webs , plants consume the Co2 we dump, and the bacteria consume our waste, the earth does not have a dump center. But our domestic waste is left to decompose and we are running our of land fills as the waste takes about 30 years to decompose and diapers takes 500 years to do like wise, to a stable conditions. We generate much waste as the figures listed below reveal; Architects can do much to solve the problems. New York City generates as much as 36,200 tones of garbage every day. In the absence of a comprehensive Integrated Strategic MSW Plan all over the world, Architect can forge a plan to reduce the waste at the source-the building, where 95% be recovered and recycling the aluminum and steel and the wet waste to be reprocessed composted for reuse. Or biomass waste power be generated and re-supplied into the grid. to be designed like wise for waste sorting. As Green Architects we ensure the drains are built properly ,the collapsed drains can be a source of to breed mosquitoes. Bios vales may be considered to replace the external drains as the waste water can be recycled as portable water even for human consumption. As Green Architects we should ensure the food waste ( wet waste)are not dumped into the drains which help to breed rats rampantly, liters in drains can encourage the rat population to breed. Wet Waste mixed with the landscape waste, should be sent to the composting yard at every building which should be reused as compost manure which is a better manure for the landscaped areas as it stabilizes the acidity of the ground helping to maintain Eco balance in the ground, See the Edmonton waste center in Canada, an example where waste is recycled as manure. We can start small composting places at our every building sites . If it was a campus style development or a housing scheme where wet waste generated could be massive amount, a Net Zero Energy Architect would design for generating biomass renewable energy from the wet wastes. Construction waste should be minimize by using construction systems that reduce wastes such as IBS system or waste is recycled within the site, ensure the contractor reduces waste in the first place. As architect it is our responsibility to design buildings as a waste sorting, reducing and recycling at the source than to shove the problem to city municipalities to solve green and sustainable issues before the waste sites swallows our living spaces. Prepared by Net Zero Energy Architect Perumal Nagapushnam Read more! The common misconceptions about Net Zero Energy Building as reported by Wikipedia: A zero-energy building is a building with zero net energy consumption, meaning the total amount of energy used by the building yearly equal to the amount of energy created on the site. This is only partly true in the early day when this principle was first conceived. And to this day this is the common misconception among many . In fact the energy (the energy pie) consumption is reduced to about 80% of the conventional consumption and then the balance 20% of the balance of energy is made up by the renewable energy, the renewable energy may be sourced from solar Photo Voltaic panels, geothermal, wind turbines or biomass energy. Recently Bill Gates asked the, If some cataclysm, all scientific knowledge was destroyed, what is the one line fact that next generation of humanity needs to know! About 50 years ago the question schools debated on was the earth was depleting its resources and the end is near. Recently with the major obvious undeniable weather changes and so called global warming in the Arctic glaciers! There have been many calls for Green Sustainability movement called -Going Green, thinking this is the solution to the impending juggernaut disasters. In reality the solutions in Green are really superficial and will not help very much with self reliance and self sustainability. When Japan faced the Fukusima earthquake that destroyed the Daiichi nuclear plant they experienced a power crisis that awaken to the importance of energy conservation and lead to the need for Net Zero Energy Building A new standard for construction was implemented to this end of 2020. We need Net Zero Energy Building for our future survival. One would think that even this should not be the goal would not suffice unless there was a total independence for electrical consumption and not be dependent on the utility company for energy consumption should be the ultimate goal, with Net Zero Energy Buildings which is off the grid. Net Zero Energy Buildings tend toward self reliance. By installing Net Zero Energy Building you have clear conscious that you are morally doing the right thing, stopping the unwanted wastage. By installing Net Zero Energy Building, you indeed saving money , which could be used meaningfully elsewhere, imagine the regular monthly bills amounting to USD200 could be used meaningfully else where. By installing Net Zero Energy Building you are responding responsibility to the climate changes demands that us undergoing world wide by reducing the foot print and closer towards becoming self sustainability for our future survival..
By installing Net Zero Energy Building you have Value for your rent able space or value for property, Developers will find the Net Zero Energy Buildings as a marketing tool to bargain for higher rental compared to Going Green for certification. Green building do not receive higher rentals as tenants do no see the need to pay higher rentals for Green sustainability certified building. By installing Net Zero Energy Building, you secure government grants and benefits from most governments of the world. By installing Net Zero Energy Building you are making the buildings, cities ,world economies more efficient and enhances the productivity of the individual and collectively at large. Here we discuss the flaws in the Green and Sustainability movement that is catching on so rapidly world wide. It will reduce outlandish waste in our environment, which is a serious problem as the land fills are full and the waterways are polluted by the landfills which return into our consumable systems dangerously affecting our health. Waste should be removed all together and not reduce, but reused and recycled completely. In nature what waste we produce as CO2 in the air from our breaths is converted to O2 by the green landscapes. All waste from domestic and industrial waste should be like wise treated completely obliterated or reprocessed to useful matter. The buildings are energy efficient and installed with higher performing systems to reduce the energy consumption. The Energy consumption should be Net Zero Energy Building and not a weak attempt to reduce energy consumption. And more importantly removed the dependence on the Grid. Wind turbines should complement with solar PV panel and combined with geo thermal energy. When there is no energy from the sun at night the wind will compensate for supply and when both fails to supply in case the eventuality of a disaster, geo thermal could be the alternative supply of energy. 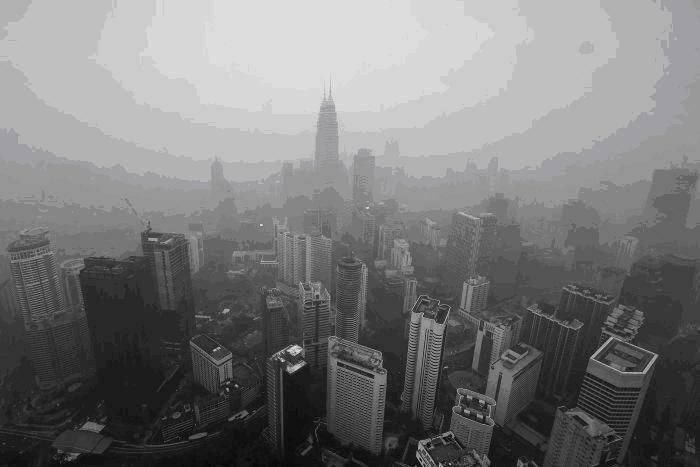 It helps to keep high air quality, which controlled and regulated which is improves healthy living environment but does not improve the haze or reduce the dust in the air. No air quality is really improved; it is a real attempt to temper with air quality. The air is polluted with CO, NO2, SO2 or dioxin should be cleansed for consumption. There are no real attempts to even address this problem. In the event of a Haze,( as in South East Asia by the recent burning of trees in Indonesia, or volcanic dust in the air etc) Does the Green building cleaned the air that we breathe in! No! It is not. One should reprocess air to remove the dusts, the pollutants, the hazes and bacteria and Viruses, in the air for use. It helps to reduce the wastage of portable water but not improve water quality, As much as high air quality the water quality will have a direct effect on the health of the residents.It focuses on the rain water harvesting. 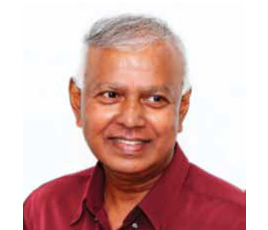 Portable water is reduced, rain water is harvested but water in the pipe is contaminated, the water should be harvested for consumption, water from the underground for consumption should be considered as an alternative sources as supply in an eventuality of a drought of off seasonal weather changes affecting the water supply. Every person is conscious of reducing consumption, waste and a new life style of economy. Material made from recycled Waste material is favored .Domestic waste is reduced, paper is not throw away, but either reused or avoided from being used. Waste is reduced but not totally eliminated. It is said that the spider eats up the web waste and in nature there is no waste. Organic matter is recycled into inorganic matter,which is consumed again into the system. Creativity to think out of the box is granted some point for qualifying for the green certification. It does not cost much for now and it will eventually reduce the cost in the future and some propose that cost should not be factor; the cost of human life should be saved at all cost, as future of human life depends on sustainability. In reality there is no reduction of cost in the future as the cost of sustainability is always higher and this is a cost already into the future and therefore the cost does not reduce in the long term. The argument that sustainability saves life to justify the high cost now is a fallacy. In reality there survival of the human race does not depend on rainwater harvesting, pv solar panels etc but by eco biodiversity, net energy building off the grid and total self reliance as in the biometric of nature. Sewer waste is not at all in design consideration. Sewerage and domestic waste is processed and recycled into the environment as in The Edmonton Composting Facility – Canadian recycling plant where human waste is recycled into manure for the city use. Waste waster should be recycled as it is done in Singapore for human consumption. The Net Zero Energy calls for total reduction of energy consumption which is not merely touching on sustainability, but attaining higher levels of Green and Sustainability. If we are able to be off the grid our sustainability will be even better still as self reliance is attained. 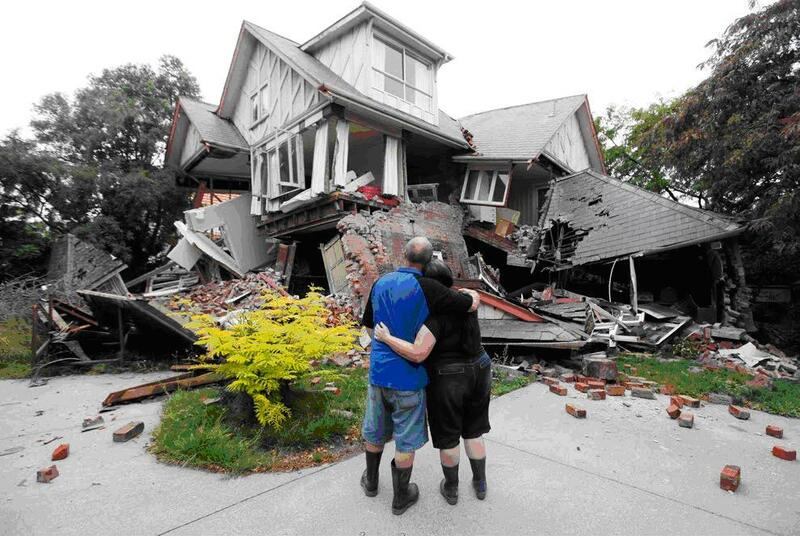 If a disaster like a Tsunami where the power grid was destroyed, or a volcanic exploding dust in the air cutting of the suns rays for months, a blizzard of rays from the sun hit the world how can we survive this independently and be self reliant in the midst of catastrophic disaster. The forest is sustainable and self reliant where no human care for treatment with pesticide or insecticide or regular watering is needed but it is self reliant surviving on the natural rain water unlike our farms where pesticide, manure, insecticide and regular watering is needed for its sustainability. We can learn from the nature’s Green and Sustainability as it is because of its biodiversity where one depends on the other and so should we live together with nature’s ecosystem. Read further on why green landscaping can help our sustainability. In choosing a style you may want to choose from the past as they were and modernize the styles and layouts, to suite the availability of material and skilled craftsman that may have long lost. Any attempt to recreate the buildings of the past may be skilled labor cost prohibitive. For instances the windows of building of the past are highly ornamented but present day houses are simplified to a great degree. Today’s design is less simplified during the industrial revolution which warranted mass productions. New motto “Less is more” to describe his aesthetic tactic of arranging the numerous necessary components of a …”by Architect Ludwig Mies van der Rohe. As such houses are designed with less pediments and ornaments on the facades of building as they did in the past. A good layout is one that best suites your lifestyle and what you can afford. If you love the river views, than design your architectural house styles to optimize the views from the Living, Master suite, etc. If you love the summer heat provide a patio, balcony or terrace to sun bathing. If you love to party outside have a great BBQ set with a large indoor and out door dinning space. The house layout is best described by your love for life and your taste. Comfort is not relative and fleeting. Homes, well designed can be comfortable and removal of stressing with the sound of birds, the water fall, the ruffles of the winds should be employed to distress the stressed mind. Design your dream house for comfort, read on.. The landscape well done, weathers comfort and even a sense of comfort to the eyes. As Andrew Jackson Downing, a cottage prominent American architect said. “… no architectural decoration however beautiful or costly can give the same charm of truthful decoration to a cottage as flowering vines and creepers…vine on a rural cottage always express domesticity and of the heart”. smart landscaping reduces energy consumption in homes and buildings. for some great house floor plans and house architecture. House Architecture is the spaces within our houses, in which we live in. This is architecture. There is some truth in this in a broad sense but in a practical sense it is limited only to the shell and the simple relationship that it creates within and around. It is not everything.. as to say “ Architecture is”, because it is encompasses all sciences, psychological happenings and hence it is not “IS”. Traditionally Architecture of the house design is derived from the Architecture of the Temples, Cathedrals, churches, and places of worship. As King Solomon built a House for the Lord (Temples), he like wise built a house for him self in a similar manner of the simpler version. Our houses in almost every culture derived it shapes and form from our places of worship. The house was a type of place of worship deity. ” Comfortable, Functions to what we do. ” Reasonable Cost to the house. If any of these are not found in your Architectural designs, it may because of a deliberate omission. As to achieve all, may be difficult and some times impossible. For instance the most beautiful building may have terrible structural design and incurring a high unreasonable cost. The Traditional Layout, which for today needs are obsolete, but these layouts are remodeled with modern utilities, such as the layouts of house of the Founding Fathers remodeled. This is rather pleasant in respect of views of the courtyard, which could be a feature of greenery, garden, breeze way, corridors, patios and of course which can calms the stressed mind, even contributes to fresh supply of oxygen leading to healthier residents. Apartment’s layout is rather confined to a small space. Where the layout are packed to the minimal and the best of the design comes out of creative use of little spaces, nook and corners. The best of the apartment in the great view overlooking the hill and the cityscape and the common spaces such as open garden where you could go down to relax. Open Layouts, where Living, Dinning and Kitchen are simply in one big space. Play area for children within the house, instead of being cooped in. Conventional Layout is where the entry is made at the Hall by visitors, whose visit is kept barred within the Living room, and formal dinning. The owner makes a Garage entry via the mud room into to the kitchen. Groceries can be unloaded direct in to the kitchen fridge from the garage after shopping. Kitchen, Living and Dining are placed together for convenient movements that take place among them. The Victorian Architecture is refereed to the architecture during the reign of Queen Victoria. The Victorian period is the time when Queen Victoria ruled Britain from 1837 to 1901.During this period new inventions in Railway and manufacturing process made building materials manufactured available more abundantly every where in England because of cheaper cost of transport.. This helps industries develop, due to rising demands and building material were made available cheaply, to all over England, such as timber, bricks and slate. This is the era which Charles Dickens describes the city of London with vivid details in the Tale of two cities ( London and Paris) and in The Great Expectation. The working population in the countryside was still living in tiny cottages, hovels and shacks .. In urban area, the poor people lived in terraced houses.Terraced Houses were made of brick walls and simple brick sills and chimneys with window that constituted the architecture of that time. The wealthy people in Victorians preferred villas ( not the same as Roman villas), The middle classes lived in superior terraces with gardens in the rear of the house and in the front of the houses. What where the character tic features of Victorian Houses, Villa. It should be noted it was during the Victorian Era the British empire expanded all over the world and the inhabitants of the British empire imbibe the Victorian education, which help to spread the knowledge of laws, English, Christianity,sciences, geography, engineering,land surveying, town planning, public administration. etc which educated the world at large. Roads and railway Infrastructures were constructed which helped to develop the nations such as Singapore, Israel, Middle East, India and Africa. After the World War II it retracted from governing the Empire and Independence given to all the Commonwealth nations, it had shrunk being a super power. Design of houses and building are primarily a composition of ornaments borrowed and in traditionally were religious significance of a meaningless object of beauty today because the meanings have been lost.. The architectural house layouts are different from location to locations varying only because of the difference of lifestyles. The roof tiles used were of distinctively characteristic of the Chinese architectural house styles. It was a small tile which lapped over well. The small sized tile allowed the roof to arch in both directions to allow the characteristic Chinese roof style. The last row of tiles was held up firmly with a cemented ridge..The view of a Chinese ornamented roofs, lighted, unusually brilliant at night. 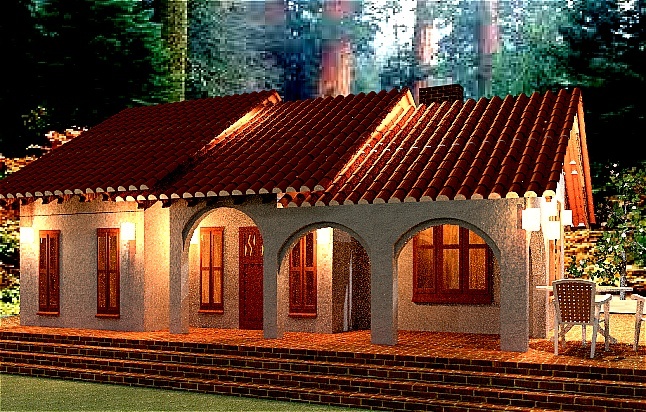 Here is a classic modern design where use of the exposed roof tiles from the interior which with the light radiating from the edges creates a wonderful design with a pleasant ambiance copied from the Chinese architectural house styles. Here are some great large timber decorative doors used in Chinese design. Chinese courtyard typical of the way small Chinese enclaves lives with a central courtyard which held the community together for utilities at the center for the courtyards. – the water well were located in the center of the courtyard. The courtyard was also the place of meeting and functions.Courtyard houses are enclosed, without any windows on the external walls, and with a main entrance to the enclosed buildings with in the compound.It may be noted with caution the courtyard is typical of Indian homes and the source or origin of courtyard homes are still not yet established. These Chinese architectural layouts designs provided privacy for the family and security from thieve. The courtyard houses created a protection for the family life from the outer world. Chinese artifacts made the wall and entrances with traditional religious symbols and marking or family stamps were typical of Chinese architectural house styles. Chinese home had family awards and pride displayed in the center of the house to see, much similar to the Japanese display of family artifacts. Chinese hardware for door entrance were designed specially to ward off the evil spirits away. This is a way to keep save the people residing in such quarters. Pre modern Chinese homes held much in common among both rich and poor Chinese people; they used similar techniques, such as foundations of pounded earth, timber framing and brick and tile facades. Though there are regional variations–China is a very big country, after all–and few houses from ancient China remain, scholars have isolated basic principles of traditional Chinese architecture. These centuries-old principles include emphasizing the orientation of the house, the layout of rooms, and the importance of symmetry. Chinese house design requires that the front of the house faces south. This tradition stretches far back in time, as archaeologists have found evidence of many rectangular houses with a door facing south from the Neolithic era in China. The oldest Chinese houses that are still extant date from the Ming dynasty (1368 to 1644 C.E.) also tend to face south, as do later houses. The north-south orientation of Chinese houses, outside of issues related to sunlight, probably had much to do with wind direction (colder winds generally blow in from the north). The importance of orientation eventually developed into the Chinese architectural theory known as feng shui. Feng shui literally means “wind and water” and its concepts dictated the placement of rooms dedicated to certain activities, as well as the types of materials used in buildings. Designing a house according to feng shui concepts was thought to direct beneficial energy to the household. Most Chinese houses had pounded earth foundations. Builders pounded dirt and soil into the shape of a foundation or into bricks. Earth was also used for the walls in areas where wood was rare. Traditional Chinese houses had roofs made of clay tile. However poorer households in certain areas made roofs of thatch and bamboo. In areas with enough wood to make its use affordable, builders used wood to frame house walls and provide roof support. The wood framing system was standardized during the Ming dynasty, and while ordinary people could often do much of the rest of their house construction, they often had to hire experts to construct the framing. In the study of traditional Chinese house architecture, the consideration of wood framing is important. In Chinese architectural theory, the basic building block of a building is “the space between,” or the bay; that is, the space defined by the vertical posts that support the roof. What is The History of The Ming Dynasty..? First and fore most Beach House floor plans needs to be designed as a resting abode, after a stressful working time. It should be a place where ones nerves are calmed settled. Secondly the plans need to be designed for recreational activities such as games by the beach, a BBQ by the patio or terrace etc. The idea of a beach house is also to get together for some fun. View of the beach from the living, dining and the bed room is essential feature. Create a warm spectacular view of the beach, jetty and surrounding landscape. You may achieve this by having large glass window panels for visibility but carefully shaded for energy savings. 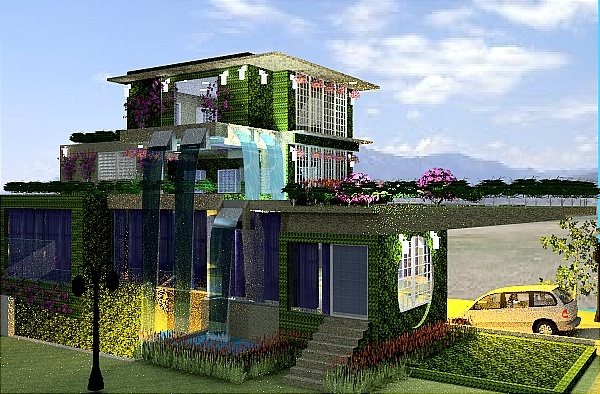 Read on smart landscaping on how you can achieve Net Zero Energy building by smart landscaping. Use a courtyard with landscape within the beach house as it creates a world of the beach within where views are not permissible or even a swimming pool to relax within when it is not comfortable at the beach. The beach house shall be a comfortable place- shaded from the heat or cold winds and designed for your specific needs- a sun bathing summer sun or winter views. The floor plan for house need to take the harsh weather beatings- the salt spray in the air would rust down metals and any metal that is not protected well will be rusting away very quickly. So the houses need to be protected well against the weather extremities. And the house needs to be well detailed to serve these purposes. The floor plan for house , should keep the sand out of the foot ware, where it is NOT needed. A good design should to care of this. Sand and dust in the air, can also minimized by a good landscape design to cut of these elements. Don’t forget the context of location. Beach house floor plans need to be designed for the surroundings .If you are in the tropic use the coconut palms as a good element for design. Palm trees make great landscaping for the house. If you are in the Mediterranean Sea use the natural stones, that are richly found in your house design so that it sits comfortably in these settings. If you are perched on top of a stone outcrop, design for the winds, the great sun sets or sun rise for great vista of the horizons. Remember you can install a wind turbine to harvest wind renewable energy where you can earn money when you are not there. Wind energy harvested well can make your home a Net Zero Energy building, where you can sell your net zero carbon emission as money earner. If you run out of ideas, visit us at http://www.sda-architect.com for some great design. Enjoy your visit. 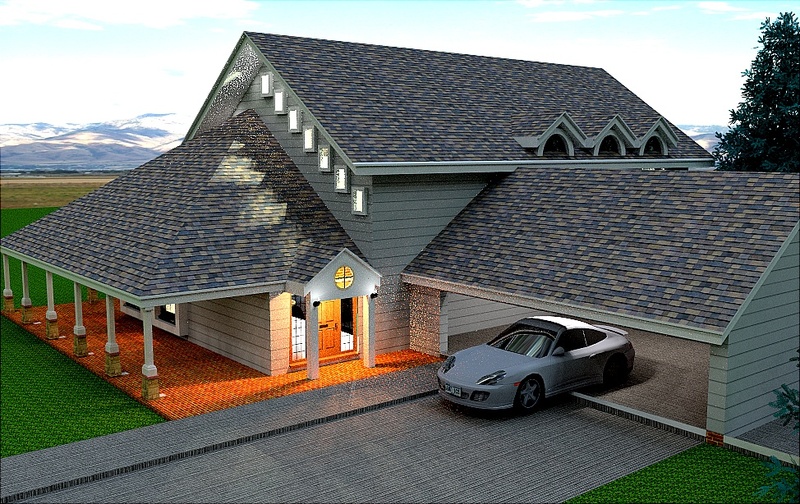 These designs have great visuals for floor plan for house. In modern floor plans for great flexibility the open house plan concept is also an option as it provides spaces for privy and wide open space for children to run around within and to have great indoor functions with wide spaces. It is pertinent that homes are designed for Net Zero Energy building where there total power consumption is reduce to zero over a period of 1 year. A beach house has plenty of sun and wind these resources will contribute much renewable energy. It is a shear waste of resources in the light of the Net Zero Energy building favored by the Department of Energy in the US (DOE). Ashrae 2020 envisioned that all building tends towards Net Zero energy building by the year 2030. Lastly have fun in your venture in seeking for Net Zero Energy building plans. Carbon neutral – easy for the big guns. But how can small businesses do it? The Traditional Malay House is a special dwelling distinguishing form western dwelling. 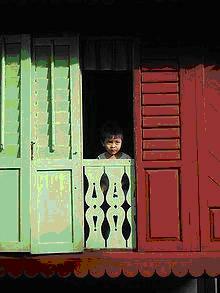 The Traditional Malay House are dwellings which evolved over time. It was influenced by the Ethnic Malay styles, Indonesian styles and the memorial cultural events which were celebrated then. The construction skills for traditional houses are being lost over the day. However the architectural forms, such as tropically roofs and proportions with decorative elements are considered by some to still have relevance. 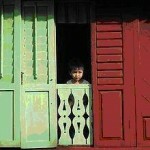 Traditionally materials such as timber, bamboo, attap, zinc roof, rattan were used to construct the Malay house. Pre cut holes and grooves were used to connect the columns and beam. This gave flexibility and strength to the house. In Some homes Rattan ropes were used to fasten the members. The roof is made is made of attap( a local thatched roof), laid over timber trusses. The roof may be curved to represent the shape of bulls horns as in case of Seremban Malay houses. The roofs may also be constructed of zinc sheets. The walls are fixed with timber planks horizontally or vertically. The flexibility of homes was essential to make shift from one place to another easily. Hence the use of nails was used to fix window and door. The advent of nails was rather a latter invention which was used rather moderately. Traditional Malay House in Malaya, Sabah and Sarawak were built on stilts raised above the ground to keep animals and floods away as to survive in the remotes of the Malayan Jungle. The raised homes also provided ventilation from below and thus keeping the house comfortable. 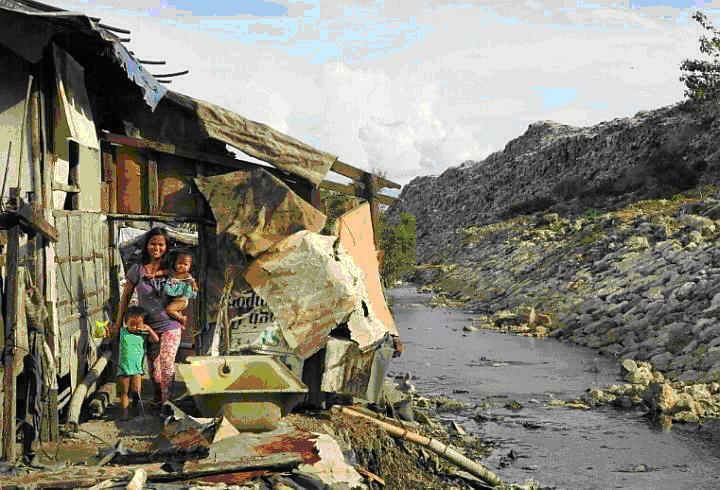 The roof overhangs also provided cover from the tropical heat and heavy rainfalls. were design with a Rumah Ibu, Rumah Dapur and Serambi. Rumah Ibu is the house proper, Rumah Dapur is the kitchen annex and the Serambi is the veranda. The windows were constructed of adjustable window timber slants. The windows allowed wind to move into the home, and cutting the heat off, with the panels in a closed position. The staircases are molded, the roof fascias are highly ornamented, carved timber lattices. This timber lattices are used generally at the floors to decorated the facades. The Gable ended roofs are similar to the Japanese, Thai, Cambodian and Sumatrans Roofs. 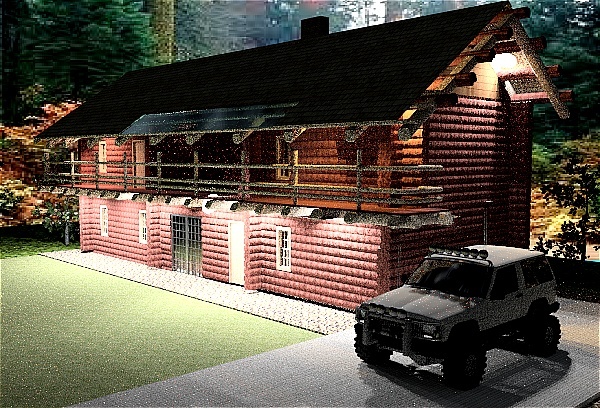 This article on How to build a log House-Part 2 is part of a 2 other articles on this subject of how to build a Log House from the foundation to roof in totality. On hard ground where bedrock is close to the surface, buildings usually require only a minimum foundation. 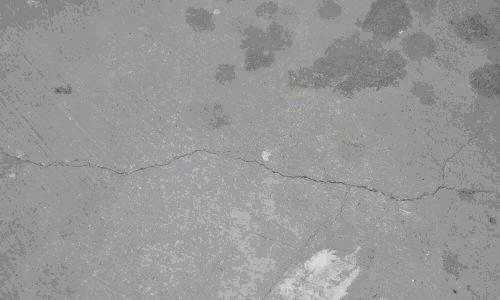 Its the simplest and least expensive, where concrete or flat stones are mortared or laid dry. The Slab Foundation for a home plan is, of the simple kinds of foundation where a concrete slab is used as the foundation. Its made from concrete, concrete blocks, or sometimes stones. Follow the architectural Floor Plan very closely with respects to the dimensions as this will cause the finishes to look tardy, if it is not correctly followed. The ceiling lines, the tiles finishes and the wall straightness will appear tardy if the dimensions of the Log House floor plans are not strictly followed. 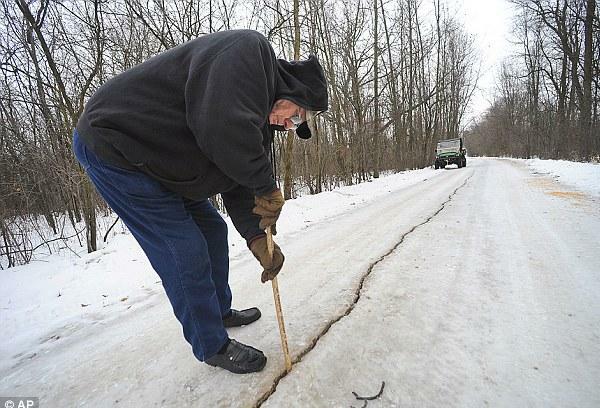 Note: Regardless what type of foundation is chosen a proper footing is needed to be placed slightly below the frost. How to make the foundation for a log house? Step One: Establish the Boundaries. 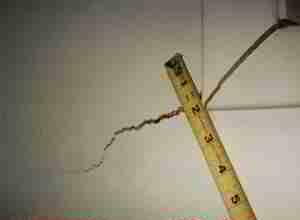 1-Establish the exact outside boundaries of your home using a 2”x2” stakes, nails & a rope. 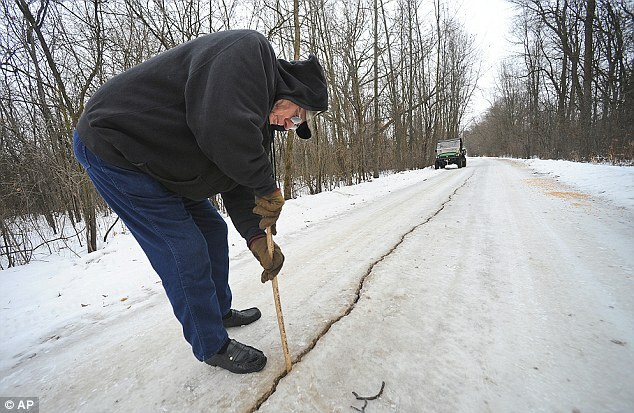 2- Make one end of each stick sharp to be able to drive it into the ground easily. 5-Once three stakes are connected you will able to outline an approximate 90 degree between two walls. 3- Make sure all batter boards have been installed on all corners at the correct height. 4- Tie weight to builder’s string and drop them over the tops of the batter boards and drop a plumb bob where the two strings cross. 5-Make sure the plumb bob falls exactly on the nail head in the corner stakes this locates the outside boundary of your foundation. 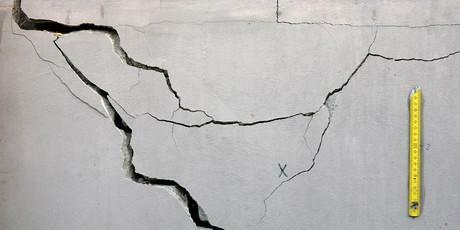 6- Use the same method to locate the inside boundary but by deducting the width of the proposed foundation.